The Dubai Financial Market (DFM) closed Tuesday’s trading session with positive performance, supported by selective purchases on blue-chip stocks. 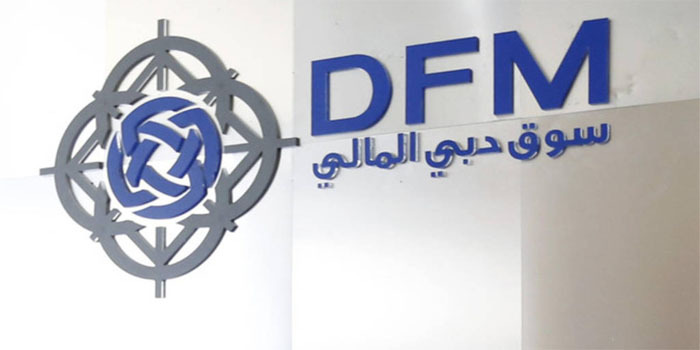 The DFM’s general index went up 0.82%, or 21.61 points, to finish the mid-week session at 2,641.43 points. Turnover amounted to AED 242.45 million after 109.81 million shares exchanged hands through 2,727 transactions. The telecommunication sector topped risers after its sole stock, Du, went up 1.76%. Similarly, the transportation sector grew 1.69% as Aramex and Gulf Navigation increased by 2.85% and 1.97%, respectively, while the real estate sector levelled up 1.34% on the back of Emaar Properties’s 2.12% jump. On the negative side, the services and consumer staples sectors plunged 1.85% and 1.57%, respectively, followed by the investment sector with 1.17%.